The engine in your car is basically its heart, if you were to compare it to a living organism. Instead of pumping blood and oxygen, it pumps out the power that turns your wheels. In order to keep your car running great be sure to keep up with routine auto maintenance. However, even a car that is well cared for can suffer from engine problems, particularly vehicles that have high mileage. If you notice any of the following issues be sure to let a professional technician conduct further engine diagnostics and repairs. One of the most common signs of oncoming engine trouble is a knocking noise coming from under the hood that rises and falls with the engine RPMs. This is an indication of worn engine bearings, which is what the moving parts of the motor rest on. If these bearings were to fail completely you would likely end up needing an engine rebuild or replacement. A more subtle sign of engine trouble is decreased miles per gallon. This can be caused by a number of issues, but one of the most common is a failed sensor, such as the oxygen sensor or the mass air flow sensor. Have you noticed that your car's tailpipe is spewing excessive exhaust? Is it colored? Depending on the color of the exhaust you can generally figure out what sort of issue is occurring. Blue exhaust indicates burning oil, white exhaust is a sign of coolant leaking into the combustion chamber and black exhaust means that your car is burning too much gasoline. Poor performance, which may mean that your car is idling rough, having a tough time accelerating or maintaining speed, can be caused by many issues. Often times it is a relatively small issue, such as corroded spark plugs or spark plug wires, malfunctioning ignition coils, a clogged air filter or fuel filter or some other issue that can be resolved quickly and affordably. One of the more straight forward signs of engine trouble is if the check engine light comes on. This little light represents a plethora of problems so it is important to get to a shop for diagnostics before the issue gets worse. 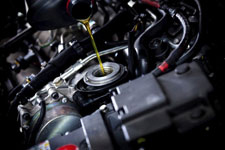 If you suspect engine trouble don't hesitate to get to a qualified auto repair shop for service. When you need expert engine repair in Sacramento bring your vehicle to Freeport Automotive. We're a full service facility that can work on all makes and models of import and domestic vehicles. GIve us a call at (916) 389-2405 to schedule superior auto repair in Sacramento today.